So you mean to tell me there is proper way to shave? I can't slap some shaving cream on my face and go to town? They make it look so cool in the commercial with the hot model running her fingers across your smooth clean shaven face. Of course, they are trying to sell you a product. And like most men, I've been buying into it for years! But recently I posted a grid like photo on my IG and my frat brother challenged me that a gentleman such as myself should do better than a shave foam and cartridge razor. So I accepted the challenge and found out I was doing it all wrong for years. I kept the cartridge razor and foam though, for head shaving purpose like my Bald Head post a while back. So let's go through the instruments I'll be using for this shaving process. Ok. We got our tools and we are ready to roll! I've created 3 phases and steps within these phases to guide me (and you) along this process to keep it simple. Step Two: Priming oil. Pour about a dime size to a quarter size in your hand and rub it on the desired areas. This will give the blade a nice smooth glide. This is the first step to prevent irritation. Step Three: Put a small amount of the shaving cream on the shaving brush and go in a circular motion on the desired areas until it is completely covered. Step Six: After drying the shaven area, take about a quarter size of the restoring balm and gently massage it on to the newly shaven area. 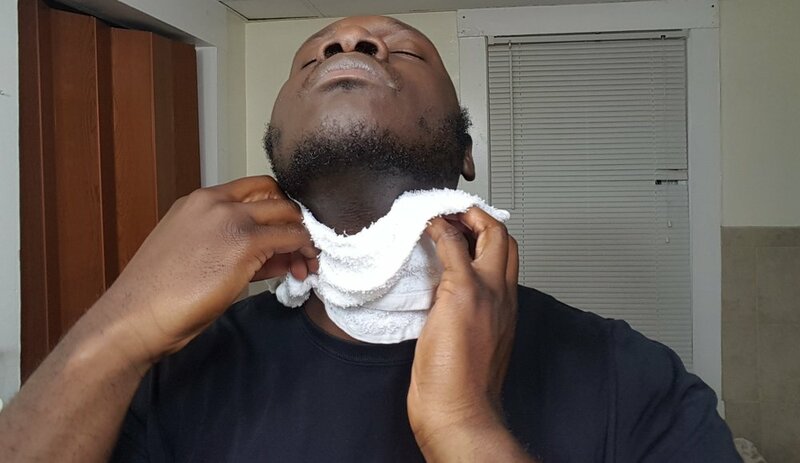 This post shave ritual is critical in preventing that dreadful itch and razor bumps. It's been an interesting two month, trying out this better way to shave has been and eye opener and I will not go back to my old ways. As I continue to get more knowledge in the art of shaving, the products will change. I intend on trying out different brand safety razors, shaving cream and other versions of priming oil and restoring balm. This isn't the end all be all, the journey continues. Expect a revised A Better Way To Shave post in the future.